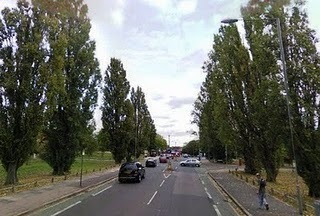 Barring a last minute reprieve, the felling of up to 21 of Worcester Park's iconic lombardy poplar trees will commence this morning. Kingston Council claims that the trees, which line Malden Green on the approach to Worcester Park, are showing signs of fungal brackets around their bases which 'could' indicate that the internal structure of the trees has been compromised thus making them potentially unstable. Councillor David Fraser has led calls for Kingston Council to halt the felling of the trees pending further investigations, whilst Sutton Conservatives have raised fears that removal of the trees could affect the water table, exacerbating ongoing flood problems from Beverly Brook which runs alongside Malden Green. There are no plans to replace any of the trees which are scheduled to be cut down.